3/1/2019 Welcome to the new and redesigned APPM CU Math Bio group site! 10/29/2018 The Interdisciplinary Quantitative Biology (IQBio) program invites applications from exceptional students who have strong interdisciplinary interests and the ability to develop novel quantitative approaches to solve biological problems. Applications are due 12/15/2018. 9/05/2018 The research of Jay Stotsky (APPM PhD 2018) was the focus of an article in the 2018 issue of DEIXIS (see page 19). 8/31/2018 The Department of Applied Mathematics is hiring an Assistant Professor to begin in August 2019. The position is in the area of high dimensional data analysis. Review of applications will begin October 16, 2018. Please see here for more information, including application instructions. 8/02/2018 We are excited to welcome new Assistant Professor Nancy Rodriguez-Bunn to the faculty in the Department of Applied Mathematics! Prof. Rodriguez-Bunn's research is on nonlinear partial differential equations (PDEs) with applications to urban crime, segregation, biological aggregation, chemotaxis, and ecology. 6/30/2018 J.T. Nardini & D.M. Bortz. Investigation of a Structured Fisher's Equation with Applications in Biochemistry, SIAM J. Appl. Math., 78(3), 1712–1736, 2018. 5/04/2018 Jay Stotsky has successfully defended his dissertation Mathematical and Computational Studies of the Biomechanics of Bacterial Biofilms. He will be starting as a postdoc in the School of Mathematical Sciences at the University of Minnesota in the fall. Congratulations Dr. Stotsky! ​4/20/2018: Sabina Altus has been selected for the 2018 Chancellor's Committee for Women Advocacy Award. Congratulations to Sabina! 4/09/2018: John Nardini has successfully defended his dissertation Partial Differential Equation Models of Collective Migration During Wound Healing. He will be a starting as a postdoc at SAMSI in the fall. Congratulations Dr. Nardini! ​3/28/2018 Sabina Altus has been awarded an NSF-MSGI. Congratulations to Sabina! 3/22/2018 The main Applied Math website has an article:Further Understanding of Wound Healing, describing a recent grant which was awarded to David Bortz, Xuedong Liu and Vanja Dukic. 3/12/2018 Lewis Baker will be spending the summer at Los Alamos National Laboratory in the Theoretical Biology and Biophysics Division as a CNLS summer GRA. Congratulations to Lewis! 3 /07/2018 Harry Dudley will be spending the summer at Argonne National Laboratory in the Mathematics and Computer Science Division as a Givens Associate. Congratulations to Harry! 2/02/2018 John Nardini has accepted a postdoctoral position in the NSF-funded Statistical and Applied Mathematical Sciences Institute in North Carolina and will be starting there this fall. Congratulations to John! 2/01/2018 Jay Stotsky has accepted a postdoctoral position in the School of Mathematics at the University of Minnesota and will be starting there in the fall. Congratulations to Jay! 10/03/2017 The Interdisciplinary Quantitative Biology (IQBio) program invites applications from exceptional students who have strong interdisciplinary interests and the ability to develop novel quantitative approaches to solve biological problems. Applications are due 12/03/2017. 8/30/2017 Zack Kilpatrick is lecturing at the Winter School on Deterministic and Stochastic Models in Neuroscience at the Institut de Mathématiques de Toulouse in France (December 11 to 15, 2017). There will be financial support for a selected number of graduate students and postdocs covering local expenses. 8/01/2017 Inom Mirzaev & D.M. Bortz, A numerical framework for computing steady states of size-structured population models and their stability, Mathematical Biosciences and Engineering, 14(4):933-952, Aug. 2017. 7/12/2017 A proposal submitted by Zack Kilpatrick, Kresimir Josic, and Josh Gold to the Joint NSF/NIH CRCNS Programentitled Decision making in changing environments has been funded! 7/06/2017 DB Poll and ZP Kilpatrick. "Velocity integration in a multilayer neural field model of spatial working memory," SIAM J Appl Dyn Syst 16 (2017) pp. 1197–1234. 5/24/2017 Zack Kilpatrick is chairing the 3rd International Conference on Mathematical Neuroscience next week from May 30 to June 2 at the Hotel Boulderado in Boulder! 5/22/2017 AE Radillo, A Veliz-Cuba, K Josic, and ZP Kilpatrick. "Evidence accumulation and change rate inference in dynamic environments," Neural Comput. 29 (2017) pp. 1561-1610. 04/04/2017 Inom Mirzaev has successfully defended his dissertation Analytical and Numerical Investigation of Long-term Behavior of Microbial Flocculation Equations. He will be a starting as a postdoc at MBI in the fall. Congratulations Dr. Mirzaev! 3/08/2017 A. Jacot-Guillarmod, Y. Wang, C. Pedroza, H. Ogmen, ZP Kilpatrick, and K. Josic. "Extending Levelt’s Propositions to perceptual multistability involving interocular grouping," Vision Res. 133 (2017) p.37-46. 01/30/2017 Inom Mirzaev has accepted a postdoctoral position in the NSF-funded Mathematical Biosciences Institute at The Ohio State University and will be starting there this fall. Congratulations to Inom! 11/02/2016 ZP Kilpatrick is chairing the International Conference on Mathematical Neuroscience, at the Hotel Boulderado in Boulder CO, May 30-June 2, 2017. 11/01/2016 Z.T. McCleney, ZP Kilpatrick. "Entrainment in up and down states of neural populations: non-smooth and stochastic models," J. Math. Biol. 73 (2016) p.1131-1160. 10/27/2016 Daniel Poll is a graduate student of Prof. Kilpatrick. His research was profiled on the APPM website! 10/15/2016 Prof. Bortz was recently profiled on the APPM website! 09/14/2016 The Department of Applied Mathematics is hiring an Associate Professor to begin in August 2017. The position is in the area of computational mathematics and scientific computing, with a particular emphasis on numerical methods for PDEs and their applications. Review of application will begin October 17, 2016. 09/04/2016 The BioFrontiers Institute is hiring faculty in Computational Biology. Review of applications will begin October 1, 2016. 08/27/2016 Profs. Hoefer and Bortz make a compelling case for why you should be an Applied Math Major! 08/08/2016 We are excited to welcome new Assistant Professor Zack Kilpatrick to the faculty in the Department of Applied Mathematics! Prof. Kilpatrick does research in mathematical neuroscience and will be giving the APPM colloquium on 9/15. 07/15/2016 I. Mirzaev, E.C. Byrne, D.M. Bortz. An inverse problem for a class of conditional probability measure-dependent evolution equations, Inverse Problems, 2016. 07/11/2016-07/14/2016 Several members of the group will be attending and presenting talks at the SIAM Conference on the Life Sciences this year in Boston, MA. 05/05/2016 A. Veliz-Cuba, ZP Kilpatrick, K. Josic. "Stochastic models of evidence accumulation in changing environments", SIAM Rev. 58 (2016) pp. 264–289 . 04/20/2016 J.T. Nardini, D.A. Chapnick, X. Liu, D.M. Bortz. Modeling Keratinocyte Wound Healing Dynamics: Cell-cell Adhesion Promotes Sustained Collective Migration, Journal of Theoretical Biology, 2016 doi. 03/29/2016 Jacqui Wentz has won an NSF Graduate Research Fellowship. She is an IQBio graduate student working withProf. Bortz. Congratulations to Jacqui! 03/29/2016 Antony Pearson has won an NSF Graduate Research Fellowship. He is an IQBio graduate student working with Prof. Lladser. Congratulations to Antony! 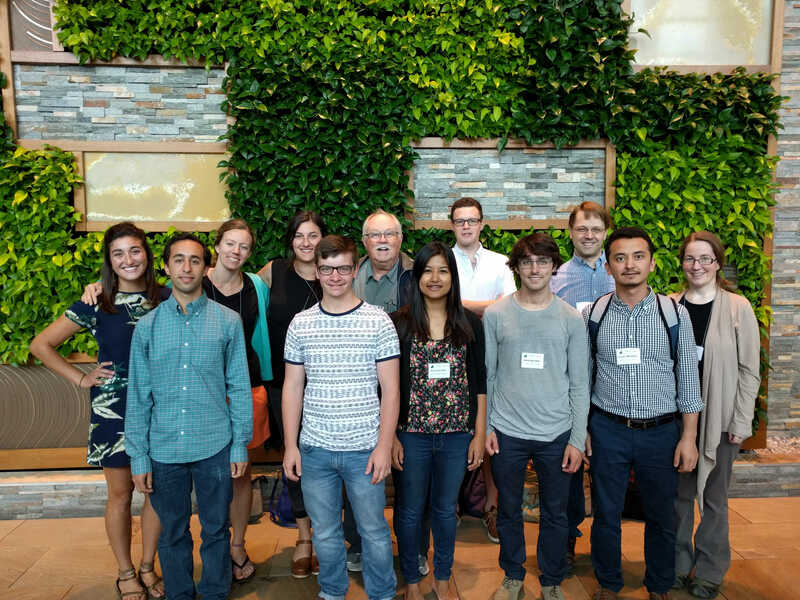 11/14/2015 The Interdisciplinary Quantitative Biology (IQBio) program invites applications from exceptional students who have strong interdisciplinary interests and the ability to develop novel quantitative approaches to solve biological problems. Applications are due 12/15/2015. 09/12/2015 Several group members appear in the new APPM-ICIAM video on the departmental website (see video). 08/19/2015 Prof. Bortz was interviewed about strategies for teaching large enrollment classes. 07/02/2015 A successful SMB 2015! 06/30/2015-07/03/2015 Several members of the group will be attending and presenting talks at the SMB annual meeting this year in Atlanta, GA.
07/01/2015 10:30am (Lanier Suite) Inom Mirzaev: Criteria For Linearized Stability For A Size-structured Population Model in MS E3: Stability Analysis and Inverse Problem for Structured-population Dynamics. 07/01/2015 1:35pm (Lanier Suite) John Nardini: The Role Of Cell-cell Adhesion In Collective Migration During Wound Healing in MS F4: Migration and Signaling Waves in Cellular Biology. 07/02/2015 4:50pm (Senate Salon) Jay Stotsky: Simulating The Biomechanical Response Of Biofilms With Heterogeneous Rheological Properties in MS K3: Modeling and Simulation of the Biomechanics of Heterogeneous Biomaterials. 06/01/2015 Former group member Victoria Gershuny (BS 2014) has won an NDSEG Fellowship. Congratulations to Victoria! 05/21/2015 D.D. Keck & D.M. Bortz. Generalized sensitivity functions for size-structured population models, Journal of Inverse and Ill-posed Problems, 2015 arXiv:1406.0212. 04/30/2015 Brendan Fry will be giving a special seminar on Thursday, April 30 in ECCR 257 at 1:00pm. Dr. Fry is an applied mathematician from the Mathematics Department at Duke University and will be talking about the Impact of kidney structural architecture on oxygen transport: A mathematical model. 04/16/2015 Ceclia Diniz Behn will be giving the Applied Math Dynamics Seminar on Thursday, April 16 in ECCR 257 at 2:00pm. Prof. Diniz Behn is a applied mathematician from the Applied Mathematics and Statistics Department at the Colorado School of Mines and will be talking about the Dynamics of sleep-wake regulation. 03/21/2015 I. Mirzaev & D.M. Bortz. Laplacian Dynamics with Synthesis and Degradation, Bulletin of Mathematical Biology2015 arXiv:1404.6477. 03/04/2015 Former group member Stephen Kissler (MS 2014) has been invited to attend the 2015 Lindau Nobel Laureatemeeting. Congratulations to Stephen! 02/13/2015 Andrea Bertozzi will be giving the Joint Applied Mathematics and Mathematics Colloquium on Friday, February 13 in ECCR 265 at 3:00pm. Prof. Bertozzi is an applied mathematician from UCLA and will be talking about Particle laden thin films: theory and experiment. 11/20/2014 Zachary Kilpatrick will be giving the Applied Math Colloquium on Thursday, November 20 in ECCR 257 at 11:30am. Dr. Kilpatrick is a mathematical biologist from the University of Houston and will be talking about Stochastic dynamics of nonlinear waves in neuronal networks. 11/13/2014 Kevin Flores will be giving the Applied Math Colloquium on Thursday, November 13 in ECCR 257 at 11:30am. Dr. Flores is a mathematical biologist from North Carolina State University and will be talking about Mathematical modeling in personalized medicine and environmental toxicology. 11/13/2014 Inom Mirzaev will be giving the APPM Dynamics & Complex Systems seminar on November 13 in ECOT 226 at 2pm. He will be talking on Laplacian dynamics with synthesis and degradation. 10/23/2014 Sarah Stoeck has won an UROP Award! Congratulations to Sarah! 10/13/2014 The Interdisciplinary Quantitative Biology (IQBio) program invites applications from exceptional students who have strong interdisciplinary interests and the ability to develop novel quantitative approaches to solve biological problems. Applications are due 12/15/2014. 10/07/2014 S. Sircar, E. Aisenbrey, S.J. Bryant, and D.M. Bortz. Determining equilibrium osmolarity in poly(ethylene glycol)/chondrotin sulfate gels mimicking articular cartilage. Journal of Theoretical Biology 2014 arXiv:1308.4421. 10/01/2014 Applied Math is hiring an Assistant Professor to begin in August 2015. This year, the search will be in Mathematical Modeling: Physical/Bio Math. Review of application will begin October 1, 2014. 09/09/2014 The NSF proposal submitted by Sriram Sankaranarayanan on In-Silico Functional Verification of Artificial Pancreas Control Algorithms has been funded! 08/29/2014 S. Sircar, J.G. Younger, and D.M. Bortz. Sticky Surface: Adhesion Based Microbial Aggregation Dynamics. Journal of Biological Dynamics 2014 arXiv:1301.2504. 06/12/2014 S.M. Kissler, C. Cichowitz, S. Sankaranarayanan, & D.M. Bortz. Determination of personalized diabetes treatment plans using a two-delay model. Journal of Theoretical Biology, 359(Oct), 101-111, 2014 arXiv:1403.0638. 05/21/2014 Dustin Keck has successfully defended his dissertation Aggregation Dynamics: Numerical Approximations, Inverse Problems, and Generalized Sensitivity. He will be a faculty member in the Department of Mathematical Sciences at the Air Force Academy. Congratulations Dr. Keck! 05/13/2014 CANCELLED: L. Mahadevan will be giving the BioFrontiers on Tuesday, May 13 at 4pm in the Butcher Auditorium, JSCBB. Prof. Mahadevan is the Lola England de Valpine Professor of Applied Mathematics and will be talking aboutTowards a physical basis for morphogenesis. 05/09/2014 Victoria Gershuny has graduated with a BS in Chemical and Biological Engineering and Applied Math. This fall she will be starting a PhD in Applied Mathematics at the University of Arizona, one of the top Applied Math programs in the country. Congratulations to Victoria! 04/18/2014 Clay Thompson will be giving the Applied Math Colloquium this Friday, April 18 at 3pm in ECCR 245. Dr. Thompson is a senior scientist at Pfizer in the Systems Biology / Cardiovascular and Metabolic Diseases Unit and will be talking about Quantitative Systems Modeling in the Pharmaceutical Industry. 04/11/2014 Stephen Kissler has successfully defended his masters thesis on Personalized control of diabetes using a two-delay model. Congratulations to Stephen! 04/01/2014 Eric Kightley has won an NSF Graduate Research Fellowship. Congratulations to Eric! 03/31/2014 Jay Stotsky has won a DOE Computational Sciences Graduate Fellowship. Congratulations to Jay! 02/12/2014 Sarthok Sircar has accepted a faculty position in the School of Mathematics at the University of Adelaide. Congratulations to Sarthok! 02/10/2014 Stephen Kissler has won a Gates Cambridge Scholarship for doctoral work in the mathematical epidemiology of influenza. Congratulations to Stephen! 10/13/2013 The Interdisciplinary Quantitative Biology (IQBio) program invites applications from exceptional students who have strong interdisciplinary interests and the ability to develop novel quantitative approaches to solve biological problems. Applications are due 12/15/2013. 09/20/2013 Jim Keener will be giving the Applied Math Colloquium this Friday, September 20 in ECCR 245 at 3pm. Prof. Keener is a mathematical biologist from the Univeristy of Utah and will be talking about The dynamics of fibrin gel formation. 08/31/2013 The BioFrontiers Institute at the University of Colorado in Boulder invites applications for a tenure-track faculty position from candidates seeking to develop an innovative research program that addresses significant problems in biology or medicine at the interface with the physical sciences, mathematics, and/or computer science. is looking for its next interdisciplinary faculty member. See the advertisement for more information. Review of applications begins November 18, 2013. 08/01/2013 The Department of Applied Mathematics seeks to hire two tenure-track Assistant Professors to begin August 2014. For more information and to apply, please see here. 04/05/2013 Greg Forest will be giving the the Applied Math Distinguished Research Lecture this Friday, April 5 in ECCR 265 at 3pm. Prof. Forest is an applied mathematician from the University of North Carolina-Chapel Hill and will be talking about The Virtual Lung Project at UNC. 03/29/2013 Ted Galanthay has just accepted a job as an assistant professor in the mathematics department at Ithaca College. Congratulations to Ted! 02/15/2013 Chris Curtis has just accepted a job as an assistant professor in the mathematics department at San Diego State University. Congratulations to Chris! 01/11/2013 E. C. Conrad, Y.-Y. Hsu, D. M. Bortz, & J. G. Younger, Spatiotemporal Dynamics of Complement C5a Production within Bacterial Extracellular Polymeric Substance. Journal of Innate Immunity 5(2), 2013. doi, (cover art!). 12/14/2012 The most recent issue of the Arts & Sciences Magazine has an article about David Bortz's recent grant on microbial flocculation. 11/15/2012 Jason Hammond has successfully defended his dissertation Analysis and Simulation of Partial Differential Equations in Mathematical Biology: Applications to Bacterial Biofilms and Fisher's Equation. He has accepted a permanent position at AFRL in Albequerque and will be starting in January. Congratulations Dr. Hammond! 10/17/2012 Sarthok Sircar will be giving the APPM Dynamics & Complex Systems seminar on October 17 in ECOT 226 at 3:30. He will be talking on the Kinetics of passive and active gels. 9/21/2012 Greg Dwyer will be giving the colloquium in the Ecology and Evolutionary Biology Department at 3:30pm in Ramaley N1B23. Prof. Dwyer is a mathematical ecologist from the University of Chicago. 9/04/2012 The BioFrontiers Institute at the University of Colorado in Boulder invites applications for a tenure-track faculty position from candidates seeking to develop an innovative research program that addresses significant problems in biology or medicine at the interface with the physical sciences, mathematics, and/or computer science. is looking for its next interdisciplinary faculty member. See the advertisement for more information. Review of applications begins November 1, 2012. 8/01/2012 See the updated Bortz group poster. It is a snapshot of the current group membership and projects. 7/20/2012 The NSF proposal submitted by David Bortz on Microbial Flocculation Dynamics has been recommended for funding. It is being supported by DMS (Mathematical Biology), DBI and CBET. 7/01/2012 Sarthok Sircar has joined our group as a postdoc. He comes to us from the mathematical biology group at Utah with an expertise in the mathematics of soft materials. Welcome Dr. Sircar! 6/23/2012 The Interdisciplinary Quantitative Biology (IQBio) has recently won an NSF IGERT graduate training grant! We are looking for exceptional students who have strong interdisciplinary interests and the ability to develop novel quantitative approaches to solve biological problems. Applications are due 12/15/2012. 5/25/2012 Several members of the group will be attend the SMB annual meeting this year in Knoxville, TN. The minisymposia MS2: Modeling, simulation, and validation of the biomechanics of microbial communities and MS31: Experimental design for dynamical system models in biology have both been accepted. Jason Hammond and Sarthok Sircar will be speaking in MS2 and Vanja Dukic and David Bortz will be speaking in MS31. 3/30/2012 Kristine Snyder (CU Applied Math PhD 2011) has won an NSF Postdoctoral Research Fellowship in Biology. Congratulations Dr. Synder! 3/2/2012 Michael Waterman will be giving the Applied Math colloquium on Friday 3/2 at 3pm in ECCR 265. Prof. Waterman will be speaking on Sequence Comparison Without Alignment. 11/22/2011 The Interdisciplinary Quantitative Biology (IQBio) is an exciting graduate program recently created at CU. Major research areas in this program include mathematical and computational biology and students can apply to any one of eight departments. Applications are due December 15, 2011. 10/21/2011 The mathematical biology group announces open postdoc positions to work in the group of David Bortz. 10/21/2011 Martin Sotola has won an UROP Individual Award! Congratulations Martin! 10/10/2011 Victoria Gershuny and Ben Noe have won a UROP Team Award! Congratulations Victoria and Ben! 10/07/2011 Itai Cohen will be giving the Applied Math colloquium on Friday 10/7 at 3pm in ECCR245. Prof. Cohen will be speaking on The Flight of the Fruit Fly. 09/09/2011 The NIH proposal submitted by John Younger and David Bortz on the Immune Complement Cascade has been funded. 08/23/2011 Dua Chaker and Stephen Kissler have won 2011 Provost Achievement Awards! These highly competitive scholarships are given to only a handful of CU juniors each year. Congratulations Dua and Stephen! 06/24/2011 Erin Byrne has successfully defended her dissertation The Post-fragmentation Probability Density for Bacterial Aggregates. She will be starting a postdoc at Harvey Mudd in August. Congratulations Dr. Byrne! 04/07/2011 Kristine Snyder has successfully defended her dissertation Tuning and Control in Human Locomotion.Congratulations Dr. Snyder! 03/29/2011 Jason Hammond's paper on analytical solutions to Fisher's equation with time-varying coefficients has been accepted by Applied Math and Computation. 02/17/2011 Daniel Larremore, Woodrow Shew, and Juan Restrepo, Predicting Criticality and Dynamic Range in Complex Networks: Effects of Topology, Phys. Rev. Lett. 106, 058101 (2011). 12/20/2010 Erin Byrne's paper on the post-fragmentation probability density function has been accepted by Physical Review E.
12/03/2010 Eric Shea-Brown will be giving the APPM Colloquium on Friday. Prof. Shea-Brown is a researcher in mathematical neuroscience at the University of Washington. 10/18/2010 There is an exciting new graduate program at CU in Interdisciplinary Quantitative Biology (IQBio). The program lies at the intersection of Mathematical Biology, Computational Biology, Bioengineering, Biophysics, and Image Analysis. The website is now live and applications are due January 5, 2011. 09/24/2010 Marty Golubitsky will be giving the APPM Colloquium on Friday. Marty is the director of the NSF-funded Mathematical Biosciences Institute at Ohio State University. 05/03/2010 APPM 4390/5390 students have done a wonderful job adding entries to the Math Bio Wiki. 04/06/2010 Matanya Horowitz has won an NSF graduate fellowship. These fellowships are the premier graduate fellowships in the country. Congratulations Matanya! 03/30/2010 Toni Klopfenstein will be participating in the SAMSI Undergraduate Modeling Workshop. 03/12/2010 Erin Byrne is giving a talk in the math biology seminar at U. Michigan. 09/18/2009 Juan Restrepo and Alain Karma, Spatiotemporal intracellular calcium dynamics during cardiac alternans, Chaos, 19, 037115 (2009). 09/01/2009 The NSF proposal submitted by Mike Solomon, Radhakrishna Sureshkumar, John Younger, and David Bortzon Flow-induced fragmentation mechanisms in bacterial biofilms by hierarchical modeling of polymeric, interfacial and viscoelastic interactions has been funded. 05/01/2009 Check out all the excellent projects created by the students in the Math Bio class (APPM 4390/5390). 04/27/2009 Erin Byrne will be participating in the IMSM Workshop for Graduate Students. 04/21/2009 Jason Hammond will be participating in the MBI summer graduate program in Mathematical Ecology and Evolution. 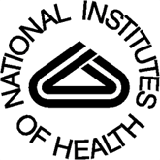 04/17/2009 The NIH proposal submitted by John Younger and David Bortz on the Biomechanics of Bacteremia has been funded. 04/17/2009 David Bortz's AFOSR proposal with Andrew Christlieb has been funded. 03/30/2009 Juan G. Restrepo and Alain Karma, Line-defect patterns of unstable spiral waves in cardiac tissue, Phys. Rev. E 79, 030906(R) (2009). 03/26/2009 Several group members will be speaking at this summer's SIAM annual meeting in Denver. Jason Hammond will be speaking about traveling wave solutions in spatial genetics. The minisymposia MS03/MS10 "Biofilm-Flow Interactions" and MS71 "Modeling of Large-Scale Metabolic Networks - Theoretical and Computational Advances" have also been accepted. Erin Byrne will be speaking in MS03 and David Biagioni will be speaking in MS71. 01/12/2009 The Mathematical Biology Course APPM 4390/5390 has begun. 11/01/2008 H. Chung, M. M. Cartwright, D. M. Bortz, T. L. Jackson, and J. G. Younger, Dynamical System Analysis ofStaphylococcus epidermidis Bloodstream Infection, SHOCK, 30(5):518-526, November 2008. 06/20/2008 Manuel Lladser's NSF proposal Markovian Embeddings for the Analysis and Computation of Patterns in non-Markovian Random Sequences has been funded. 03/18/2008 D. M. Bortz, T. L. Jackson, K. A. Taylor, A. P. Thompson, and J. G. Younger, Klebsiella pneumoniae flocculation dynamics, Bulletin of Mathematical Biology, 70(3):745-768, April 2008.